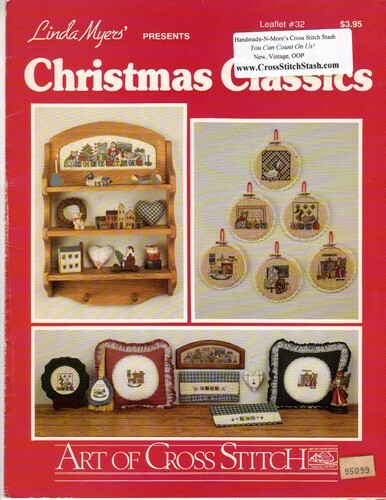 Art of Cross Stitch CHRISTMAS CLASSICS Linda Myers counted cross stitch leaflet. Bear and Quilt, Rocking Horse, Goose and Amish Quilt, Antique Santa, Cat and Sampler, Noel Decoy, Christmas Antiques, Towel Border Designs. Price tag on cover.